BOSTON, MA—Howard Raiffa, Harvard University’s Frank Plumpton Ramsey Professor of Managerial Economics Emeritus (a joint endowed chair at Harvard Business School and Harvard Kennedy School), who was for decades a pioneering, extraordinarily influential, and world-renowned scholar, researcher, teacher, and mentor in the fields of game theory and decision analysis, died on Friday, July 8, at his home in Tucson, AZ, after a long battle with Parkinson’s disease. He was 92 years old. An applied mathematician and statistician, Raiffa was a major figure in developing decision analysis as an academic discipline, relating the abstract world of mathematics to the concrete problems of decision making. Through his extensive research, teaching, and writing, he pursued ways that analysis could help individuals or groups make better decisions under conditions of uncertainty and competition. At Harvard Business School, Raiffa and his colleagues created what was then called the Managerial Economics area, which for many years offered a required first-year MBA course on decision analysis and the use of decision trees (which he helped invent) to determine the multiple directions in which various choices could lead. His interest in cross-disciplinary teaching and course development, integrating the relevant behavioral and mathematical sciences, also led to the development of courses in negotiation at Harvard Business School. Today, the elective in negotiation offered by the School’s Negotiation, Organizations & Markets Unit is the most popular course in the second-year MBA curriculum. 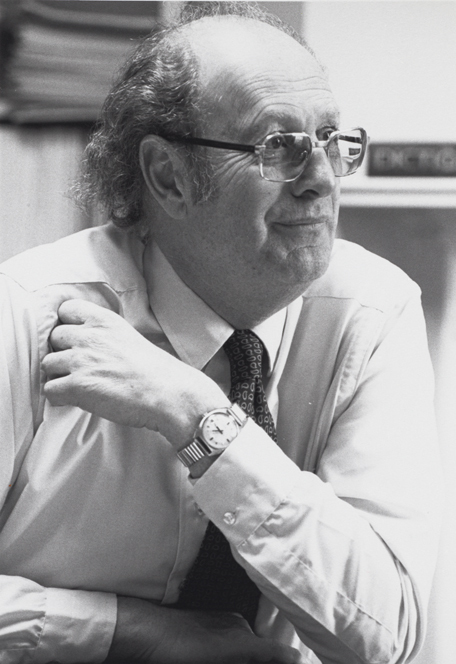 Committed throughout his life to cross-disciplinary work that showed the “power of the collaborative intellectual venture,” as former Harvard Business School Dean Kim Clark wrote in the introduction to a book of essays titled Wise Choices, published to coincide with a symposium held in honor of Raiffa upon his retirement from the active faculty in 1994, he helped advance the fields of game theory, decision theory, and negotiation analysis, all of which use a set of analytic approaches to understand the way people and organizations evaluate risks, make decisions based on their own interests, and negotiate with each other. Raiffa’s work, which was global in nature, spanned both public and private sector decision-making issues and included a deep interest in complex problems involving not only management but government policy, science policy, public health, and clinical medicine. Extending his reach throughout Harvard University, Raiffa was one of the founders of the John F. Kennedy School of Government (now Harvard Kennedy School) in 1969 and served on the committee that helped design its original curriculum. At Harvard Law School, he led a monthly workshop – the Harvard Faculty Seminar on Negotiations – with the late Harvard Law School professor Roger Fisher, then the seminar’s director. He also helped launch the Program on Negotiation at Harvard Law School, now a world-renowned interdisciplinary center on negotiation and conflict resolution. In addition, he collaborated with faculty at the Harvard School of Public Health (now the Harvard T. H. Chan School of Public Health) on issues of medical decision making. The first of Raiffa’s 11 books, Games and Decisions, published in 1957, remains a classic source for the basic concepts of game theory, laying the foundations for decision making under uncertainty. A stream of other seminal books followed that he authored or coauthored, including Decision Analysis, the first volume written on that subject; Applied Statistical Decision Theory; and Decisions with Multiple Objectives. After his interest turned to negotiation, Raiffa wrote the Art and Science of Negotiation in 1982 and Negotiation Analysis in 2003. In 1998, he published Smart Choices, which synthesizes the major lessons from decision analysis research and applications. Raiffa also stood out in the classroom, thanks to his excellence as a teacher and his early use of games and simulations. As he himself once said, he took to the case method of instruction "like a duck to water." And when it came to the early use of simulations, he once had his MBA students participate in trial runs of “Headball Negotiations,” a computer-aided game to help them better understand the process of making decisions in a competitive context. The game simulated the process of lawyer and salary negotiations in professional football and mimicked the negotiation, trading, drafting, and bidding for free agents, clarifying the sorts of issues that arose during negotiations between National Football League owners and players. Raiffa brought his analytical and problem-solving skills to bear on world issues, believing that international cooperation was critical for working on problems common to different societies. As an advisor to McGeorge Bundy, White House assistant for national security under Presidents Kennedy and Johnson, and Philip Handler, then president of the National Academy of Sciences, Raiffa helped negotiate the creation of the East-West think tank IIASA with the aim of reducing Cold War tensions. From 1972 to 1975, he served as the first director of the Institute, which is now sponsored by a number of scientific organizations and coordinates research in areas of concern for advanced societies, including the environment, technology, and social issues. Partly because of his IIASA experience, Raiffa later advocated the creation of regional research institutes patterned on IIASA in various parts of the world that “remain divided because of ancient antagonisms,” such as the Middle East. As a member of the board of governors of the Peres Center for Peace in the Middle East and through his involvement with the Harvard Institute for Social and Economic Policy in the Middle East, Raiffa worked to bring the most up-to-date negotiation techniques into discussions in that region. Raiffa also was concerned with risks to society, and when he returned to Harvard from IIASA, he was invited to join a group of scholars to prepare a report for the incoming president of the United States, Jimmy Carter,on what to do about nuclear energy. He had an ongoing involvement in the Three Mile Island cleanup and in 1980 helped select and chair the Committee on Risk and Decision Making (CORARM) for the U.S. National Research Council of the National Academy of Sciences. The committee’s task was to report on the status of societal risks in the United States and how they might be handled more effectively. Howard Raiffa was born on January 24, 1924, in New York City. He was raised in the Bronx during the Great Depression, “in a strong, loving family that was not intellectual,” he wrote in his memoir. “Although my elementary grades were superb, I did nothing cultural after school -- no reading, no music, no political discussions. It was not the ideal, stimulating background for an academic career,” he remembered. As he progressed in school, math, not surprisingly, was Raiffa’s best subject. He recalled that his father took great pride in young Howard’s ability to do arithmetic at an early age. But his real passion was sports, particularly basketball, which he played with friends as often as he could during his teen years. Early on, he dreamed of becoming a great basketball player or coach. Raiffa first attended the City College of New York, in part to be near his “true love,” Estelle, whom he married in 1945. After spending four years in the Army Air Corps during World War II as a specialist in radar-controlled emergency landings, he headed to Ann Arbor to earn a bachelor’s degree in mathematics in 1946, a master’s in statistics a year later, and a Ph.D. in mathematics in 1951, all from the University of Michigan. After teaching stints in mathematical statistics at Columbia University from 1952 to 1957, Raiffa came to Harvard Business School in 1957, “one of a small cadre of discipline-based scholars imported into this School,” in Dean Clark’s words, “through the generosity of the Ford Foundation, as part of a larger movement to broaden the intellectual base of business schools nationwide.” The experiment worked. Raiffa had found a lifelong home at Harvard University. Although Raiffa had had no experience in business, he was “vitally interested in how systematic thinking could help decision making.” He met the late HBS professor Robert Schlaifer, who Raiffa said “influenced my intellectual development more than any other individual.” Together, they synthesized esoteric research materials from a diverse set of disciplines, added their own insights to the mix, and created decision analysis. Much of their pioneering work on decision trees, game theory, statistics, risk analysis, and negotiating strategies is still taught at Harvard and other schools and is widely applied in many other disciplines as well. Raiffa won numerous awards throughout his long career, including the Carnegie Mellon University Dickson Prize for Science, the Lanchester Prize of the Operations Research Society of America, the Distinguished Contribution Award of the Society of Risk Analysis, the Frank P. Ramsey Medal for Outstanding Contributions to Decision Analysis from the Operations Research Society of America, the Melamed Prize from the University of Chicago, and a Lifetime Achievement Award from the International Association for Conflict Management. He was elected to membership in the American Academy of Arts and Sciences and the National Academy of Engineering and held honorary degrees from Harvard, Carnegie Mellon, the University of Michigan, Northwestern, and Ben Gurion University of the Negev. Moving from the Boston suburb of Belmont, Raiffa and Estelle, a retired social worker, lived in a retirement community outside of Tucson, at first for only part of the year to avoid the harsh New England winters. When the weather brightened, they returned to Belmont, Boston, Cambridge, and Harvard, where he maintained an office, served in an advisory capacity at HBS, did research, and wrote as long as he could. Raiffa also continued to enjoy playing tennis long after his retirement, and he held an unpaid post as a visiting professor at the University of Arizona, where he attended seminars and conferred with doctoral students. But mainly “I’m there as a kibitzer,” he once joked in an interview. In addition to his wife, Estelle (Schwartz), Raiffa is survived by their children, Judith Raiffa of Amherst, MA, and Mark Raiffa of Vienna, VA; and four grandchildren. Raiffa’s ashes will be interred in a private ceremony at a cemetery in Belmont at a future date. A memorial service is being planned. In lieu of flowers, donations can be made in Raiffa’s memory to an IIASA fund that will be established in his name.